Old sergeants say, "we're here to defend democracy, not to practice it!" But are they right? The special mandate with which defence and security organizations are tasked imposes unique constraints with respect to the accommodation of diversity which differs from those faced by any other public or private organization. Yet, the compound effect of demographic, political, economic, social and legal pressures is making diversity as inevitable in the defence and security sector as in any other organization in advanced industrialized democracies. Owing in part to a dearth of research on the way the defence and security sectors can leverage diversity to enhance their functional imperatives, such sectors have been reticent about diversity. The chapters in this volume strive to enlighten the debate by laying out the concepts, clarifying theoretical issues, and providing empirical evidence. The case studies draw on Canada, Guyana, the Netherlands, South Africa, and the United Kingdom. They examine ethno-cultural, gender, and sexual-minority diversity in a variety of missions, including Bosnia-Herzegovina and Afghanistan. 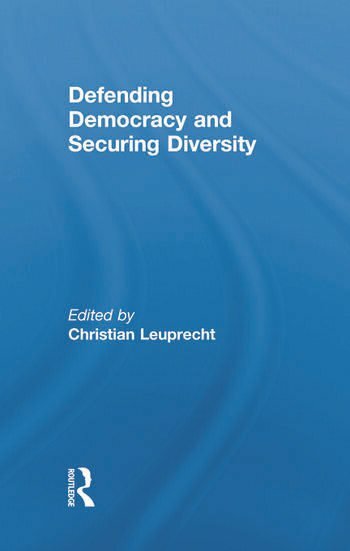 The chapters are notable for their methodological pluralism and interdisciplinary range including political science, sociology, anthropology, and psychology. Although scholarly in nature, the book is readily accessible to professionals and practitioners alike. This book was published as a special issue of Commonwealth and Comparative Politics. Christian Leuprecht is associate professor of political science at the Royal Military College of Canada and cross-appointed to the School of Policy Studies and Department of Political Studies at Queen’s University.